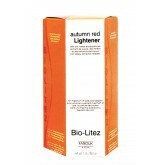 BioLitez uses organic pigments to lighten and tone from 1 to 7 levels and to lift and deposit at the..
Beach Texture is a unique styling spray that contains natural silk, vitamins, herbs and texturizing ..
Replenishes moisture while protecting color treated hair with bamboo and gooseberry extract for colo.. 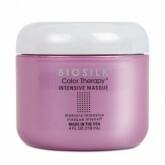 This Intensive Masque with gooseberry extract, VibraRiche® and rooibos, shields hair from color ..
Protection from damaging UV rays and environmental stressors is essential for color-treated hair. Lo..
BioSilk Therapy Conditioner replenishes moisture while protecting color treated hair with bamboo and..
BioSilk Dry Clean Shampoo, formulated for all hair types, is water-free spray that cleans and refres..
Biosilk Silk Therapy Spray Spritz is a fast drying, firm hold, non aerosol hair spray designed for c..
BioSilk Silk Therapy Finishing Spray Firm Hold is a uniquely designed hairspray developed to provide..
BioSilk Silk Therapy Finishing Spray Natural Hold is a uniquely designed hairspray developed to main..
BioSilk Hydrating Conditioner restores moisture levels in the hair with maracuja oil and silk for ad.. 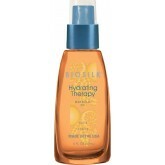 This deep moisture masque is formulated with the power of quinoa and silk to calm, hydrate and repai..
BioSilk Hydrating Therapy Maracuja Oil is rich in vitamins A & C to treat, calm and control natu.. 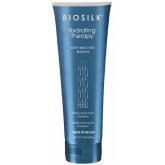 The Hydrating Therapy Rich Moisture Mousse by Biosilk is a lightweight mousse which gives the hair i..
Hydrating Therapy Shampoo is a sulfate free cleanser that rids hair of impurities while hydrating wi..
Biosilk Molding Silk transforms your hair to create the hairstyle you want. 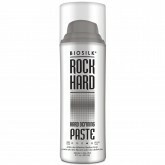 The product contains rea..
Rock Hard Defining Paste is a strong hold paste that helps you create bold, daring looks. 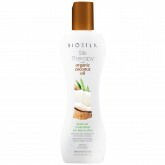 It gi.. 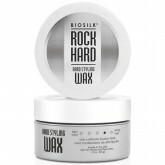 Extra firm hold spiking gel with a non-flaking formula offers extreme control and added shine. 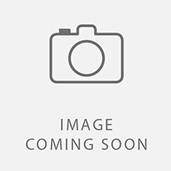 A .. 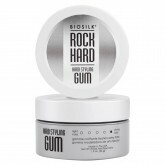 Extra firm, pliable styling gum that provides intense control and helps create extreme textured styl..
Biosilk Rock Hard offers a line of styling products that provide exceptional control, shine, workabi..
Matte finish styling wax adds texture with a lightweight formula for extra control with a touchable ..
An ultimate styling wax for all hair types Helps set in styles & shape Gives brilliant shine &am..
BioSilk is the original silk infused line of hair care products using natural pure silk in every pro.. 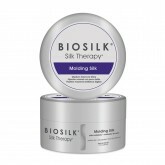 This display box includes 100 sample-sized Silk Therapy 0.5oz.. This Miracle 17 Leave-In Conditioner conditions and hydrates skin and hair, while providing volume, ..
BioSilk Silk Therapy Conditioner is a conditioner with botanical extracts and herbs that replenishes.. 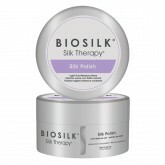 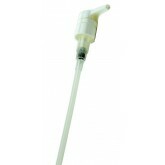 This pack contains Biosilk's Silk Therapy in 3 different sizes, to meet all your needs! Silk Ther.. 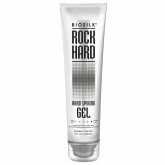 This styling gel is ideal for all hair types, has a variable hold to create multiple textures, and i..
BioSilk Style Glazing Gel is a light hold sculpting gel that distributes evenly to give body and shi.. 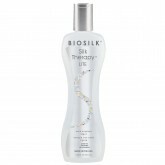 The classic Silk Therapy formula that you have come to love is now available in a lighter formula. 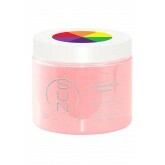 S.. This intro includes: 4 - Silk Therapy 2oz 4 - Silk Therapy Lite 2oz 3 - Silk Therapy 5oz 3 - S..
BioSilk Silk Therapy Shampoo with botanical extracts and herbs leaves dry hair soft, healthy, and mo.. 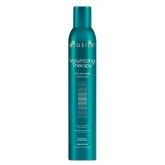 Silk Therapy Shine On provides brilliant shine while repairing split ends and eliminating frizz! 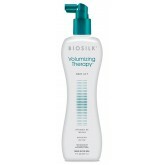 The..
Help repair damaged areas and even porosity with BioSilk Silk Filler Treatment. 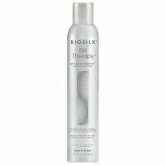 This cationic leave-..
BioSilk Silk Therapy Mousse is infused with concentrated silk and botanical extracts to add maximum .. 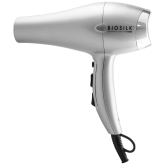 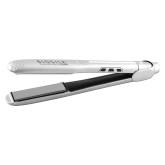 This thickening creme provides lightweight support and hold while providing thickness and incredible..
Biosilk Titanium Flat Iron 1"
BioSilk 1” Titanium Professional Hairstyling iron combines the power of ceramic and titanium e..
BioSilk Titanium Professional Hair Dryer is designed with a powerful 1875 watt ceramic motor with an.. 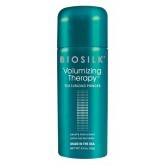 Conditions while providing volume and body to hair by infusing the essential ingredients of Hair Vol..
Pump up your style with Hair Volume Complex and rice proteins to give extra volume and strength, whi..
Includes Biosilk Volumizing Therapy Shampoo 34oz, Biosilk Volumizing Therapy Conditioner 34oz and Bi..
Volumizing therapy root lift provides an extra boost of bolume, the perfect balance of body and mana..
Gently cleanse and give hair the essential volumizing ingredients of rice proteins and Hair Volume C..
Volumizing Styling Foam penetrates hair with silk and rice proteins and hair volume complex to add w.. 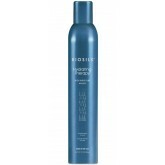 Provides a cool root lift to perk up any style throughout the day. 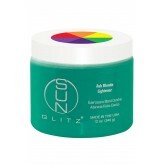 With Hair Volume Complex, silk an..
SunGlitz Activator is a cream developer that contains H2O2 used to stimulate and energize the molecu..
Sunglitz Powder Lighteners, formulated with non-oxidizing pigment, will lift hair color between 1 to..
SunGlitz Brighteners and Toners have several different uses. They can create a multitude of tones an.. 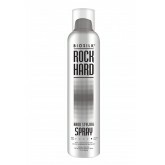 Hot Thermal Protectant Mist offers complete heat protection while giving long-lasting styling result..
Biosilk Firm Hold Rock Hard Gelee is an ultra-firm hold gel to create long-lasting styles on wet or ..
BioSilk Silk Therapy & Organic Coconut Oil 3-in-1 is a shampoo, conditioner and body wash all in..
For hair & skin! 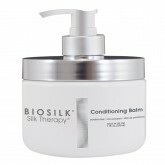 Lightweight leave-in treatment offers superior moisture replenishment while for..
Biosilk Silk Therapy Conditioning Balm allows you to unveil stronger, silkier hair. 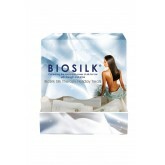 Silk protei..